Eric at Master Clean does a fantastic job! We have a 2 kids and a Golden Retriever in our home and I thought there was no hope for our carpet, but he made it look like brand new! And the best part is, they’re always willing to come to our Broken Arrow home! Thank you Eric! We have only used Master Clean once, so far, but were so pleased with the results, we recommended them to multiple friends and every one of them that had Master Clean come out, were as happy as we were with the results! Eric and his team were quick & efficient, worked around our crazy schedule, very polite and did an amazing job! I never thought my carpets would look new again, but Eric had them looking great before he was done with them! 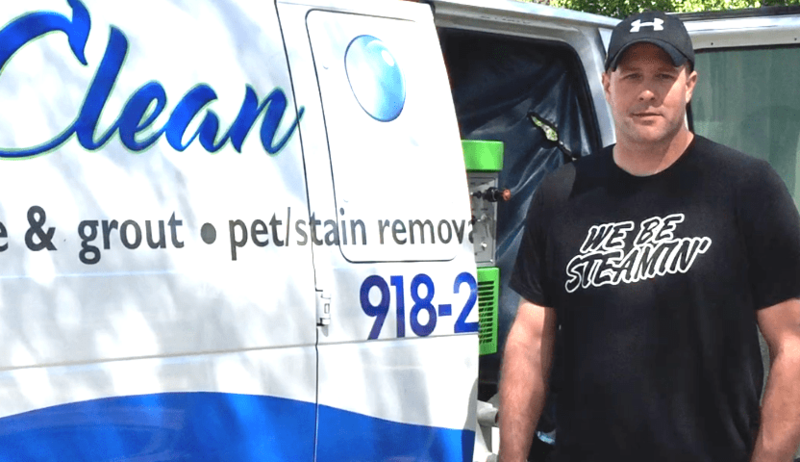 Living just outside of Tulsa, we had plenty of options for carpet cleaning services, but Eric’s prices were unbeatable! Give them a call! I know that I can’t wait to have Eric and his team come clean up after my 2 growing boys and all their friends again soon!